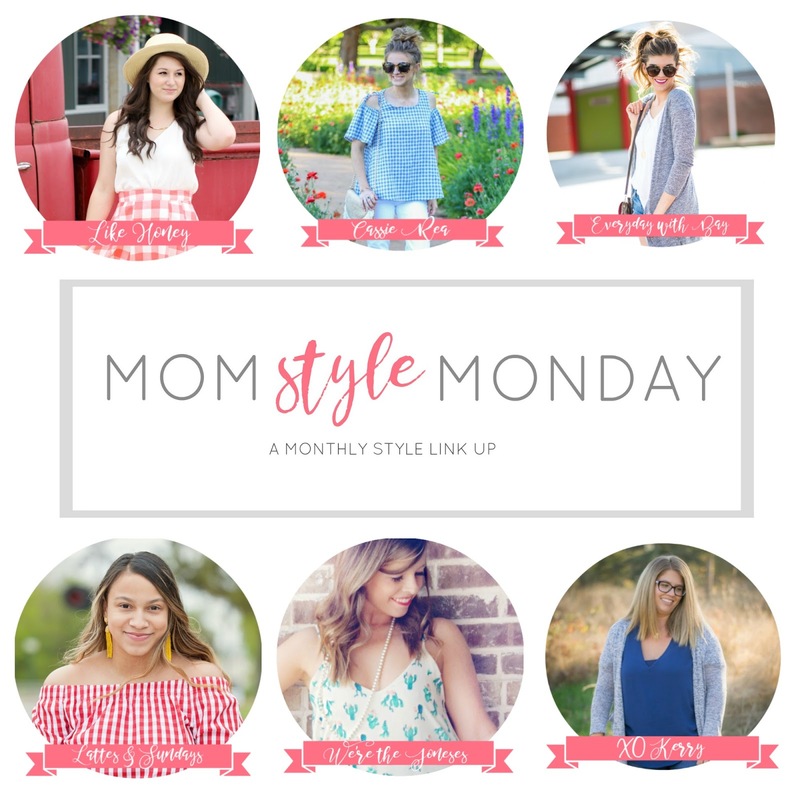 Welcome to Mom Style Monday, a monthly link party where my fellow stylish mamas and I share our favorite outfits and trends! There's a new theme every month, so be sure to join in next month with your own Mom Style! This month we're sharing our favorite beach and vacay themed outfits! This month's MSM theme was vacation/beach so I thought this dress would be perfect since I'd give anything to be wearing it on the Gulf of Mexico right about now (while equally excited about leaves and pumpkins being on the horizon...isn't the end of summer weird?). We did hit Sullivan beach in Charleston but I wasn't about to shoot a swimsuit look for y'all (you're welcome)! Now it's time to link up! Share your favorite vacay-ready look (or any recent outfit post!) and be sure to comment on at least one other blog post in the party! Then join us next month (the last Monday of every month) for a Fall Transition theme! Such a pretty dress!! I love the color and pattern! Welcome by Thursday and linkup with me beautiful lady! <3 Ada. Thanks so much, Ada! It's been a fun change! That dress is gorgeous on you! Love the colors and off the shoulder cut! Thanks, Jill! The colors really drew me in! Your fiesta dress is so fun and colorful! I also love your earrings! Thank you! It always brightens my day when I wear it! Yes this is a total fiesta dress! I love it and the bright colors in it! Definite vacation dress! Right?! I wish I'd found it before I actually went on vacation! This dress is adorable and totally perfect for margaritas!